Impexgeo is the authorized service provider for the surveying and GIS equipment of Trimble and Nikon companies including brands of Spectra Precision, former Zeiss, Geodimeter and Ashtech. 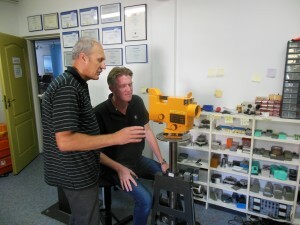 Impexgeo provides also service for Laser Technology rangefinders. Our company signed in 1993 service provider agreement with Nikon and in 1998 similar agreement with Trimble Navigation Limited. Since then our service staff attended and gain a lot of practical experience. The above are only the most popular examples: when you would like to check if we can repair/service your instrument please send us e-mail to : biuro@impexgeo.pl with the type/model information and short problem description to check if the service of your device is possible in our service workshop. Total station error calibration (inclination, collimation, VA error, optical plummet). Cleaning pulse scale and checking encoder signals. EDM internal and external signal test. Final test on calibrating station and certificate. Washing and lubricating total station axis. Cleaning pulse scale and error calibration. Encoder signals check and calibration (optics). Checking focusing EDM diode and signal, cleaning EDM optics. Washing and lubricating clamps, fine motions etc.